Pay commission is a system or mechanism which was set up in 1956 by the government of India, which gives the recommendations regarding the changes in the salary structure of the government. Since 1956, every decade the commission comes up and decides the structure and salary of all the government employees for the particular time frame. Therefore, since the Independence, seven pay commissions have been set up after the review and recommendations. The commission is given a time of 18 months after the constitution to give their recommendations. 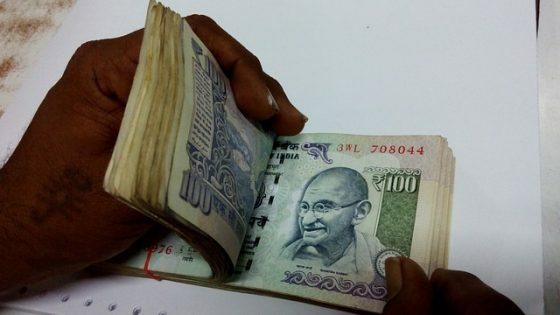 The 7th pay commission is going to cost the government around Rs. 1,02,000 crores. The commission has recommended increasing the basic pay of the employees from 18,000 to 21,000, which is going to put a burden of 3,068 crores, which is going to affect around 50 lakh central government employees and may come into effect in January 2018. Over the last few years, the allowances, Pay and Pensions, all costs government 2.8 percent of the GDP. RBI has said that there is a risk of inflation with the launch of the 7th Pay Commission. The amount of money increased will also enter the economic cycle of which 20-30 % will come back to the government in the form of additional taxes collection. The government has announced the 23 percent hike in the pay scale of the central government employees, which will boost the demand in the economy, leading to more expenditure, thus, benefitting the GDP of the country. The 7th Pay Commission will also give a huge relief to the stock market. A large portion of our population is unemployed, is going through poverty, social degradation and insecurities, while the others are getting an increment which makes unjustified. The pay scale of the government and private employees has gone to the sky, what has not changed is the wages of the unskilled labor since Independence. Pay commission increment often tends to disrupt the government finances for the couple of years, which affects the GDP of the country. The pay increment in the government should be on the basis of the productivity just like in the private sectors. Therefore, there is a huge difference between the government and private sector. We should not compare the central government employees with the private sector. The private sector works in profit mode, but the government organizations work in the service mode. To lessen the stress of the 7th pay commission on the budget of the government, they should focus on bringing this pay commission on the regular basis annually. For a better running of the government system, they should give the increment on the basis of the performance itself like the private sectors. However, the 7th pay commission has the positive effects and made the employees more responsible.